Unexplained livestock deaths increase across the state | DISCLOSURE. NOW. 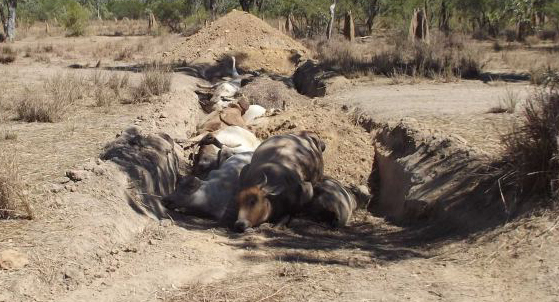 PIMA COUNTY, AZ – Jan 20, 2014 – Pima County ranch owners are asking county officials for help. Livestock and cattle deaths have risen 4% since January, and local ranchers are concerned. Pima County law enforcement have been notified, however since the animals may have died due to an increase in predators in the area, county officials have not intervened. Many of the dead livestock have deep puncture wounds and lacerations, suggesting a larger predator, although no reports of animals this size have been reported in the area. Last month, Arizona Fish and Game trapped and relocated a mountain lion north of Benson. Despite the 2001 trapping of a predatory back bear near Tucson Arizona initially suspected in the attacks on four hikers, AFG officials are hesitant to point the finger at these animals. “It’s unusual that an animal that size could go undetected so close to populated areas.